A yogic lesson in letting go, reminding us that giving it up is by no means giving in. A vinyasa yoga class which has you courageously explore your relationship with surrender, on your journey towards Hanumansana (the spits in yoga) - stopping at koudinyasana B and Bird of Paradise on the way. Class starts with supine hamstring openers and then we up the pace for more feisty poses. You'll need a strap and two blocks. This hip and leg opening vinyasa yoga class helps you to move into a more expansive state by prioritising space and freedom, a sentiment that can live well beyond the mat and into your behaviours, attitudes and approach for the day, and onwards. Listening carefully to the whispers of the body, you increase our sensitivity to sensation and enhance your interior perception. By moving slowly, you are able to build more strength and stamina, while staying connected to what you feel. In this way, you can encourage the gentle negotiation between body and breath to find a sense of release and freedom. You may need yoga bricks and a strap. This heart opening vinyasa flow class is designed to help you open up; open up to your potential, your experience, the sensations your body presents, the wisdom and inspiration available to you and to gratitude. 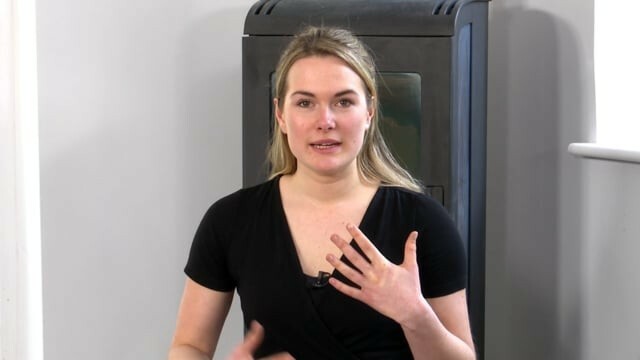 Working on creating space in the chest and shoulder area, mobilising the spine and strengthening back muscles - this class will have you feeling wide open and ready to receive. You will need a brick and a strap. Ease out the compression, contraction and any resistance that you may feel first thing in the morning with this vinyasa yoga class. This class will help you to move into an expansive space, releasing anything that feels as though it may be holding you back today. A beautifully sequenced intermediate vinyasa yoga class weaving a variety of arm balances throughout. Working with fluid breath based movement to see and hear the body's narrative more clearly. This enables us to see our lives more clearly and make better decisions. Exploring the art of perspective and opening up to the wonder of what is. You may need blocks and a strap. In this soulful, breath-based vinyasa class, we acknowledge the fluctuation of experience, sensation and energy within our practice and our lives. This flow honours the natural rhythm of things, moving slow and strong, with a playful exploration of (optional) inversions and arm balances. You'll need two bricks and a strap. A change in perspective changes everything! This fiesty and beauitfully sequenced vinyasa yoga class shows us how when we change our perspective on a yoga pose, new possibilities are opened up. We turn our poses upside down, come to the same pose from multiple perspectives, and see that, if you look at a yoga pose from another direction, possibilities become infinite! You may need two bricks. When we create space in our life, in our bodies, there's so much more room for creativity and for dealing with any of the challenges that life might bring. This hip, heart and shoulder opening yoga flow is set to invite more space and softness into the body, heart and mind. A beautiful flow designed to get you vibrating on the frequency of gratitude. With plenty of back-bends, which give a full heart-opening in lunges, twists and balances – leading to Dancer's pose and Wheel as peak postures. 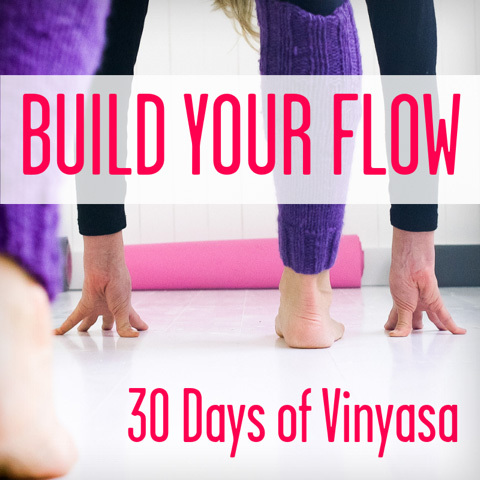 Slow, strong and steady vinyasa flow. You may need a foam block, a strap and a brick. A firey practice to heat you up from the inside out. Playing with some core work, strong balances and deep twists, all to a pacey but breath connected flow. Building up to Ashtavakrasana (Eight Angled Pose) as peak posture.